A pair of earphones are important these days, where many would also consider them to be an essential part of our road warrior lifestyle. After all, don’t we all want to enjoy a little bit of “me time” during the rush hour commute, simply entering into a zone of music that is favorable to our tastes? 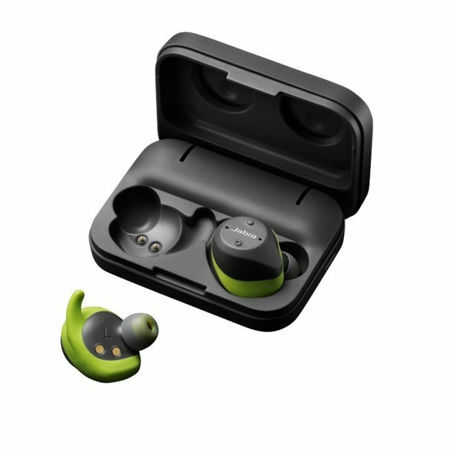 Jabra has come up with a newer and upgraded version of their Elite Sport Wireless Earbuds, which have been specially developed to provide consumers with all day power enhancements that will translate to 50% more battery, personalized sound capabilities and a new color version. This particular upgraded pair of earbuds will boast a whopping 13.5 hours of battery life, which would mean consumers can enjoy a full day of continuous listening all without having to be concerned about battery life. This would also mean not having to experience an increase in the weight or depth of the earphones themselves, maintaining a portable aspect to the entire shebang. Apart from that, users are also able to personalize their sound using equalizer profiles and settings, while being able to pick from a brand new Lime Green Gray color option. The Jabra Elite Sport claims to be the most technically advanced, true wireless sports earbuds that is in the market at the moment. It offers freedom of movement, ground-breaking in-ear fitness analysis and a distinct focus on the in-call experience, ensuring superior audio quality for calls and music sans wires. All of this while you are having a serious workout, pounding the pavement to beat your personal best. Other features of the Jabra Elite Sport include all-day comfort and a secure fit thanks to customizable fitting options, an advanced heart rate monitor with in-ear precision for optimized workouts. It even comes with a 3-year warranty against sweat, now how about that?